(Newser) – The Church of Scientology launched its own TV channel with a vow that it will be candid about every aspect of the church and its operations but isn't seeking to preach or convert. "There's a lot of talk about us. And we get it," church leader David Miscavige said in introducing the first night of programming Monday. "People are curious. Well, we want to answer your questions. Because, frankly, whatever you have heard, if you haven't heard it from us, I can assure you we're not what you expect." Scientology is an "expanding and dynamic religion and we're going to be showing you all of it," he said, from the "spiritual headquarters" in which he was standing—a Florida-based, corporate-looking building. Viewers will also get a look at its churches around the world and a behind-the-scenes look at its management. The channel also will explore the life and philosophy of founder L. Ron Hubbard, whom Miscavige called "a true-to-life genius." With all that the channel intends to present, he said, "let's be clear: We're not here to preach to you, to convince you or to convert you. No. We simply want to show you." Miscavige didn't directly address critics, but Scientology doesn't lack for them, the AP reports. 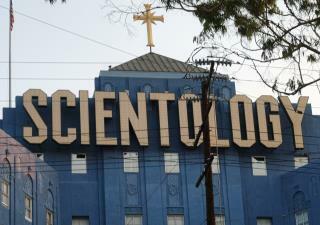 Several high-profile projects have investigated the church's alleged abuses of former members, including actress Leah Remini's A&E docuseries Scientology and the Aftermath and Alex Gibney's Emmy-winning documentary, Going Clear: Scientology and the Prison of Belief. Just as bad as the religion of climate change. And why not think up a religion? There's big money in that. Look at Lafayette Hubbard (aka "Elron"). There are lots of suckers out there anxious to give their money away. If you have a lot of money it's the religion for you. Do they ever do auditing up to the top level?